Discussion in 'Jailbreaks and iOS Hacks' started by JPNFRK7, Dec 28, 2013. Anyone else having trouble with these? Every time I try and open one of them my iPhone 5 resprings into Safe Mode. I dont know if they worked before because I was just waiting around for Mobile Substrate to be updated and didnt play with anything. This morning I decided to try some of the new tweaks and found that opening either causes a respring. I did install CCSettings and FlipControlCenter but after removing them it still does it. Any suggestions before I restore? Edit: Just an update, I tried the same on my iPad Mini and got the same results. Looks like a problem with Mobile Substrate. I've noticed a lot of little issues with my 5S, most of which are not issues on my 4S. So I think it's due to the mobile substrate not being updated for the 5S. I restored my 5S and I'm waiting until the mobile substrate is updated. 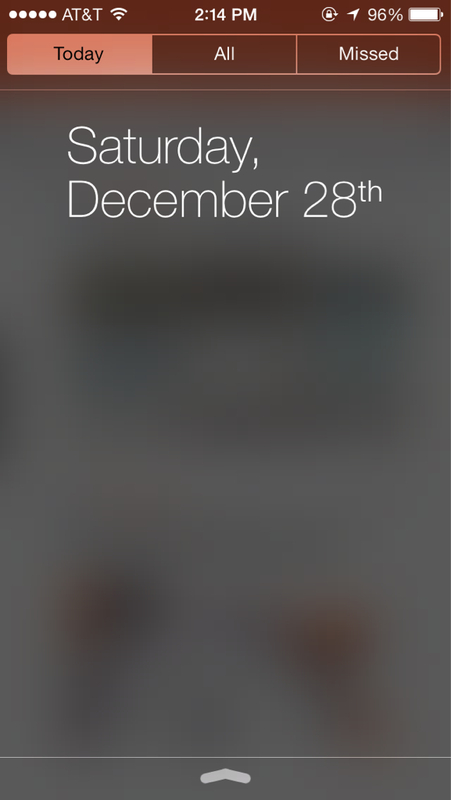 I noticed that my weather and calendar disappeared in the notification center. Some tweaks have been toggling off everything in the notification center. Go into settings and toggle everything back on. Have a 5S jb running smooth with stock apps and nc working normally including weather and stock. I don't have any ms tweak. You aren't supposed to really use any yet. Got these problems too after installing FlipControlCenter. Toggling everything off and then on again doesn't work. I even set a new event in Calendar which doesn't show. Uninstalled everything else that I'd installed just in case but it's still f*cked! To get your weather back, you're going to have to "Reset All Settings", and that may not remain after a reboot. Yep that fixed it, cheers.